In just four short days, the alarm will ring after a long hiatus. The kids will struggle out of bed, rubbing their eyes, and instead of reaching for their bathing suits, they’ll put on new clothes and closed toed shoes before rushing down to breakfast. The final days of summer are here, much too soon my kids would tell you. Before the week is over, they’ll be back in school, and their lives will be filled with recess politics and homework. They’re bummed today, but I know they’ll adjust quickly, glad to reunite with friends and discover new teachers. The biggest challenge will be getting used to doing homework instead of playing outside in the sunshine. But I have a plan. I’ll be enticing them to sit down at the kitchen table with some fun snacks for the first few weeks. Kids are just like men, easily led by their stomachs. 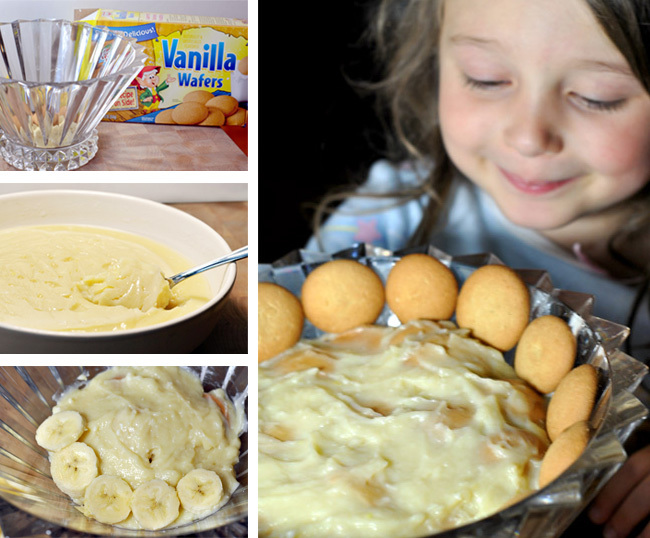 My latest Snackpicks recipe is for easy to whip up Banana Pudding. Don’t tell my kids and spoil the surprise, but it will be one of my first lures back to the homework table. Head on over to Snackpicks for the full recipe. This is my hubby’s favorite. Sadly I dislike bananas a lot. Luckily for him my mom makes banana pudding for him from time to time. I feel so hungry when i read this article , good news !